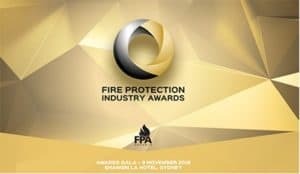 Over 1,500 companies from around Australia are eligible to enter the Fire Protection Industry Awards. Since our inception we have expand to become one of the largest South Australian family-owned fire protection maintenance companies with offices in the Yorke Peninsula, Riverland and Adelaide. “Over our 18 year history we have quietly been striving to be the best that we can be. It is great to be recognised by our peers and to be selected as a finalist for this award,” says our Managing Director, Alan Short. 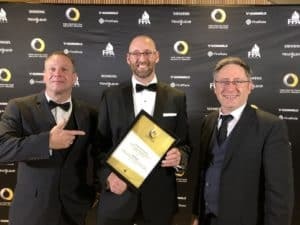 Managing Director, Alan Short is also author of the book, “Ready Set … Fire.” This book, along with the training he provides, is unique in the industry and one of the reasons that Fire & Emergency Services SA is a finalist. This continues a history of awards for Fire & Emergency Services SA. In 2014, Managing Director Alan Short was awarded the National Meritorious Service Medal, and this year we were winner of the Strata Communities Association Strata Support Business of the Year. Unfortunately at the awards dinner we were not successful in receiving the award, beaten by a National Company, but still an outstanding result. Follow us on Facebook or our Managing Director, Alan Short, on LinkedIn to see how we go next year.